We have just released an update to the Simple Failover v. 2.0 beta (to our beta testers), which now includes the complete v. 2.0 feature set. Since the first beta release, besides fixing a few bugs, we have also added a brand new HTTP API (REST / JSON based) and a new really simple and secure way of updating Microsoft DNS servers (not so easy in v. 1.x). The beta testing is progressing very nicely and the software is now pretty stable, so we don’t expect it to be too much longer before RTM. 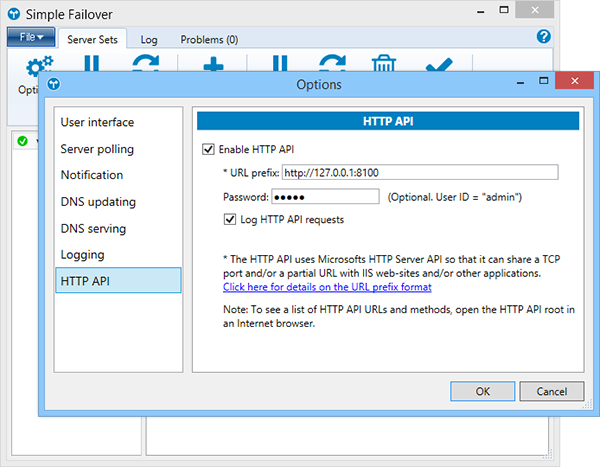 There is however still time to become a beta tester and get an early preview of Simple Failover v. 2.0 – let us know at support [at] simplefailover.com if you are interested.